Build, hop, crawl, dig and discover! 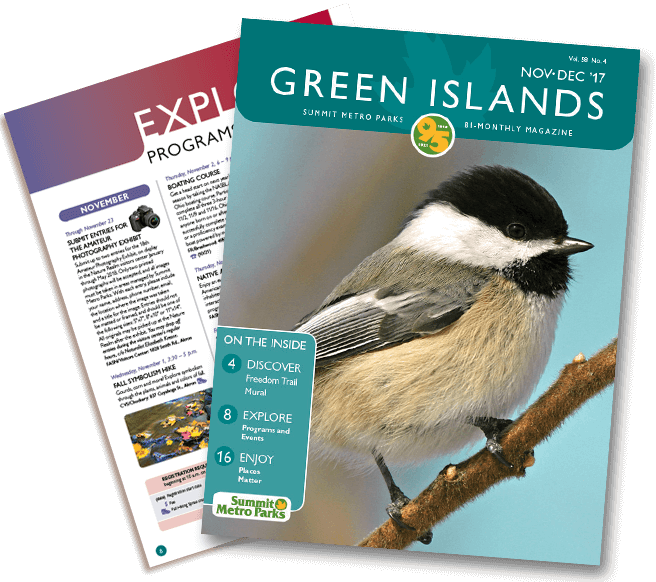 Today's children and families have increasingly limited opportunities to connect with nature. Research has shown that frequent, unstructured and active play in a truly natural setting has intellectual, emotional, social, spiritual and physical benefits. Nature Play teaches kids to think creatively, rely on and activate their senses, collaborate, regulate stress and develop motor skills. Most important, Nature Play instills life-long conservation values and behaviors that guide future generations into cherishing, loving and conserving our very precious natural world. Get out, get active, and get wild in Summit Metro Parks. 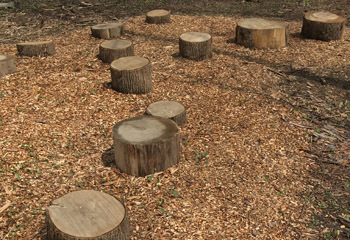 Includes stump hoppers, an A-frame fort, tree cookies, a log climber and more! Users must stay within the Nature Play boundaries, identified by white markers. Other park rules apply. 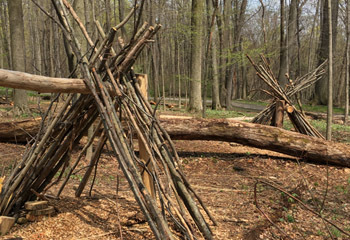 Includes two A-frame forts, a potting bench for making mud pies, a weaving station, a balance beam and stump hoppers.